As I collected Alison and David from The Swan for an afternoon and evening around Druridge Bay, southeast Northumberland and the Northumberland coast, the weather was continuing in the glorious vein that it had struck a few days previously. Mid-summer can be a quiet time, other than the obvious hustle and bustle of the Farne Islands, but there’s always something to see. At the moment wader numbers are starting to build; Lapwing, Curlew, Redshank and Oystercatcher have all come down to the coastal strip from their breeding grounds and Black-tailed Godwits are moving through. One of the first things we came across was a group of four of these beautiful elegant waders as they rested with a flock of Lapwings. Little Gulls were flycatching and then sleeping and a male Marsh Harrier gave views that were simply breathtaking. As we headed up the coast, a female Marsh Harrier flew low over the car, being equally as obliging as the male. Grey Herons were stalking along pool edges, Common Spotted Orchid, Bloody Cranesbill and Harebell added colour to pathside vegetation, hirundines heading to roost formed swirling clouds of dark dots against the greying sky, a Common Frog sprang across the path in front of us and a Barn Owl hunted over rough pasture on silent wings. The thing that always characterises days out with clients who are passionate about wildlife, and Alison and David have a mouthwatering list of wildlife they’ve seen around the world, is that before you know it, it’s nearly dark, pipistrelles are hawking insects in the last vestiges of daylight and it’s time to head back. 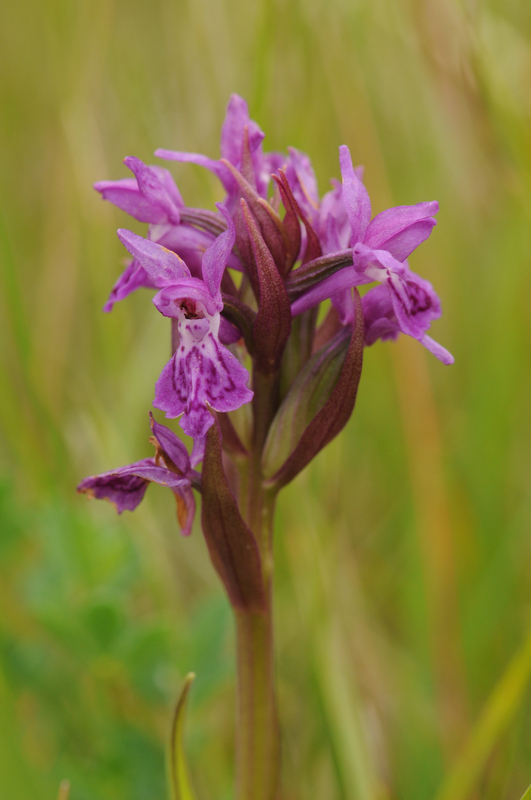 Skylarks were soaring over the fields, a Reed Bunting was singing from a nearby hedgerow and a very amiable local, who had worked at East Chevington while it was still a coal mine, stopped to tell us a little of the history of the area. Perhaps the most unexpected sighting of the morning was a Barn Owl, roosting in a pine tree and staying put as all of the group enjoyed ‘scope views of it. 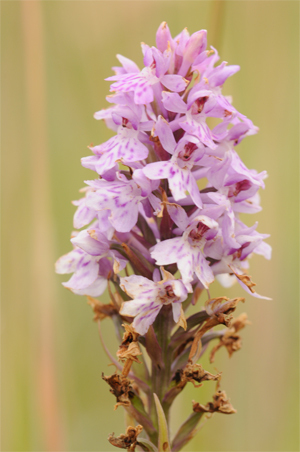 The question that led one of the ladies to make the comment that forms the title of this blogpost came as we were appreciating the beauty of a group of Common Spotted Orchids, when she asked “why are some ‘Orchids’ and some ‘Orchis’?”. 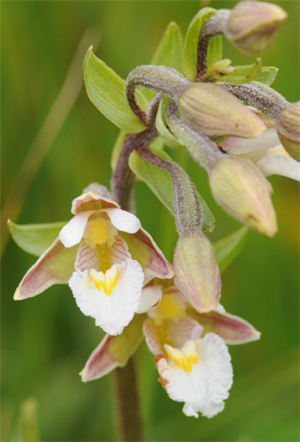 As Martin explained that the word orchis means testicle, and that’s where the Orchids get their name from, there was a ripple of laughter through the group at the comment “Ooh, I wish I hadn’t asked”. Just a couple of minutes from the car, at the end of a walk that it was a real pleasure to lead with a group who asked plenty of questions, the first raindrops began to fall and we finished in a ‘refreshing’ summer shower.